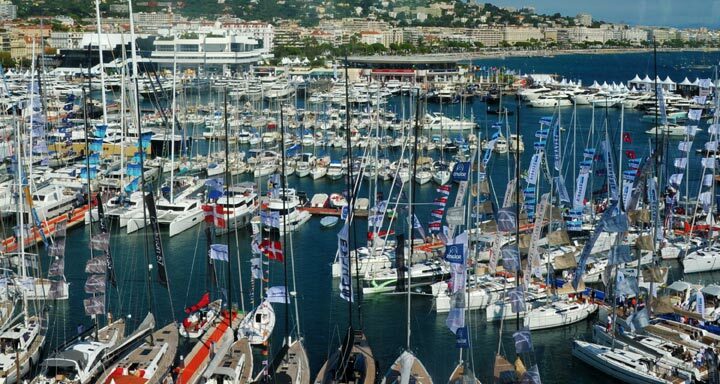 Between 10th and 15th September 2013 on the bay of Cannes, around 50,000 visitors have discovered at Cannes Boat Show over 550 boats on display from the world’s leading shipyards and 150 exciting premieres power and sail yachts boasting thrilling innovations. 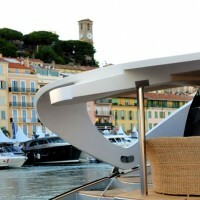 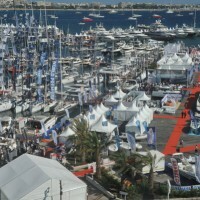 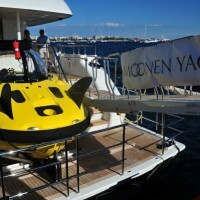 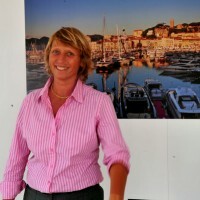 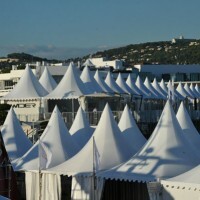 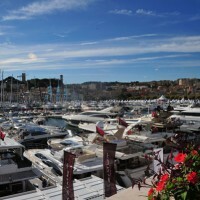 Declared a resounding success by exhibitors and visitors as well as the Federation des Industries Nautiques (FIN) and Reed Expositions, the Cannes Boat Show (Festival de la Plaisance de Cannes), spreading across the Vieux Port and Port Pierre Canto Brokerage & Charter area, has experienced a 7% visitors increase compared to last year. 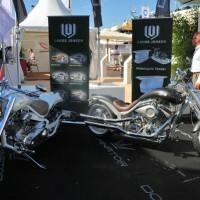 That was good news for the exhibitors who reported visitors were interested in buying. 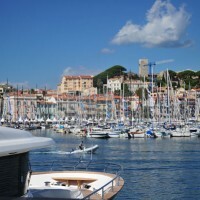 With around 50 per cent of attendees coming from all five continents, the Festival de la Plaisance de Cannes, the most prestigious afloat boat show in Europe with sea trials, also confirmed its reputation of being the most international. 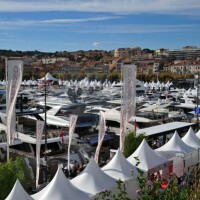 Highly regarded by the international yachting industry, Le Festival de la Plaisance de Cannes continues to offer its guests an accurate snapshot of the latest yachting innovations, across sectors including design, machine parts, marinas, on board electronics and equipment. 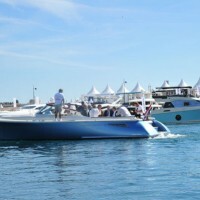 To fully experience these innovations, Cannes Boat Show is offering its visitors sea trials, very enjoyable during this sun drenched 36th edition. 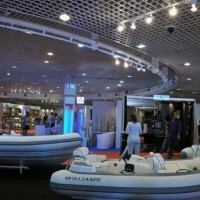 The new Equipment Village proved popular with exhibitors and visitors alike. 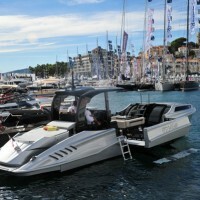 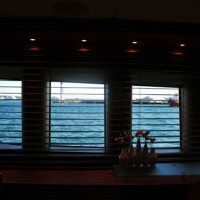 Likewise, the Tender Area, with an extension on La Traversante, to complement their on-land presence, gave visitors the opportunity for tender sea trials for the first time. 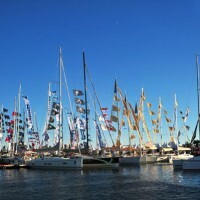 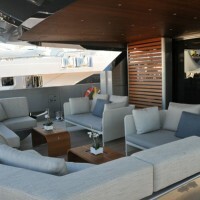 The Multihull area also saw an important evolution with a 20% increase in the number of sail and motor yachts. 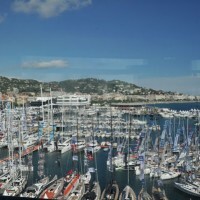 The Espace Riviera was host several shipyards, services companies (finance and insurance), equipment for high-end units as well as the VIP Club and Sea Sens restaurant who welcomed guests on the first floor of the Espace Riviera, offering them a panoramic view of the Festival de la Plaisance de Cannes and the most beautiful units afloat. 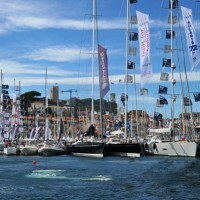 Brokerage and charters activities, have been developed at the Port Pierre Canto, home to the world’s most important brokers. 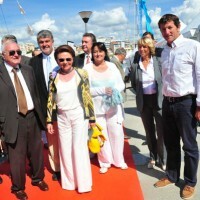 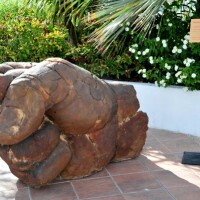 The Port Pierre Canto also experienced an increase in interest and visitors. 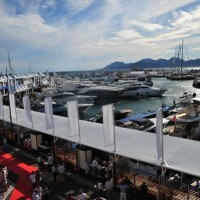 It was also the chosen location to host Cannes Boat Show’s first crew party, sponsored by Camper & Nicholsons International. 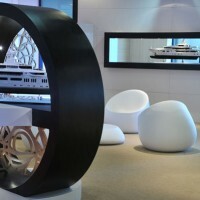 Among all the yachts on display, we choose to present you five new yachts which attracted our attention because of their innovation or their majesty. 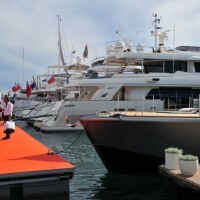 (Click on links below to see reports and pictures).